Sunny Isles Beach, Florida, is home to Jade Signature, a gorgeous high-rise residential building developed by Fortune International Group and designed by Swiss architects, Herzog & de Meuron. Breathtakingly beautiful, Jade Signature shimmers in the Florida sun and offers residents unparalleled views of sparkling oceanfront and exquisitely landscaped grounds. 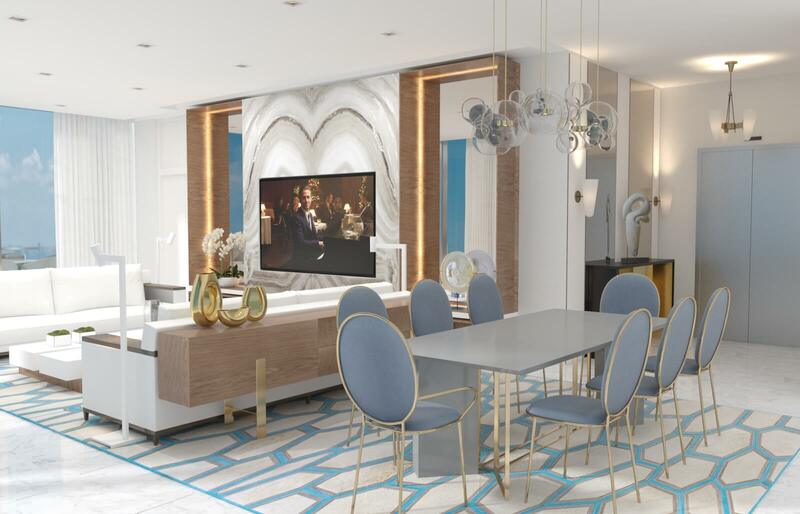 Amenities abound for residents of the 53-story building, including a spa, fitness, and guest suite level; worldwide concierge services; private beach; and a private pedestrian walkway to Collins Avenue. 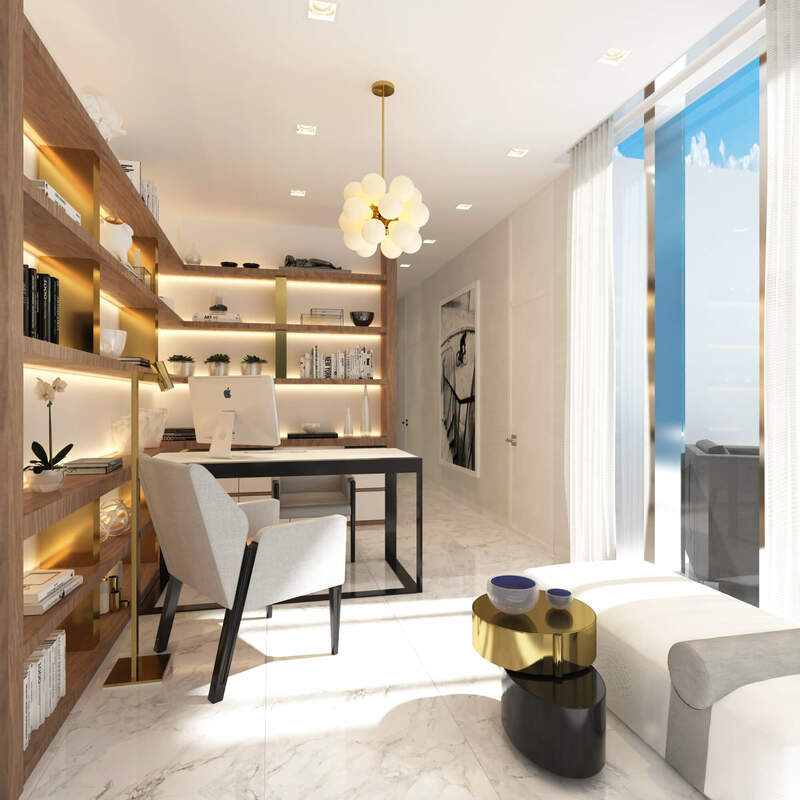 Our international client has asked us to design a 3k sq ft turnkey residence at Jade Signature. The unit on the 50th floor affords spectacular views and a stunning 800 sq ft balcony that increases the total living space. Britto Charette is responsible for all aspects of designing the 3-bedroom, 5-bathroom residence that is expected to be completed by the end of September 2017. Our design features custom built-ins, headboards, bedroom sets, and furnishings. We are especially fond of the sculptural Zaha Hadid sofa by B&b Italia. The unit lacked sufficient storage for our client’s needs, so our team added custom built-ins throughout the living areas. Please check back often to see our progress. And if you would like to learn more about Jade Signature, please visit their website by following this link.